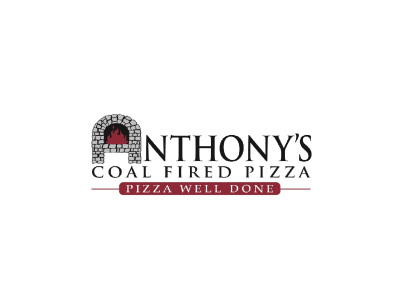 Anthony’s Coal Fired Pizza was voted Best Pizza, Best Wings and Best Meatballs in the 2015 Sun Sentinel/SouthFlorida.com Best of South Florida readers’ poll, and has been chosen Best Pizza by the Miami Herald, Miami.com, Palm Beach Post and WFLA’s iHeart Tampa Bay. The Brand was featured in the New York Times and has received rave reviews from Newsday. Anthony’s food and service continually are ranked “very good to excellent” by Zagat Survey, the distinguished dining and entertainment ratings guide, and is voted “Top 5 Most Popular” and “#1 Pizza” in Zagat’s America’s Top Restaurants edition. The popularity of this unique pizza, which takes only four minutes to cook, and the restaurants’ classic, casual ambiance has helped Anthony’s Coal Fired Pizza build an almost cult-like following. With a focus on fresh ingredients and authentic recipes, Anthony’s signature menu includes traditional and specialty pizzas with dough made daily and stretched to order; fresh coal-oven-roasted chicken wings; large homemade meatballs from a recipe passed down by Anthony’s grandmother; a classic Italian salad with original dressing; and Eggplant Marino (named for Restaurant Partner and NFL Hall of Fame Legend Dan Marino).